If you read my post a couple of weeks ago, (titled My computers were held hostage! 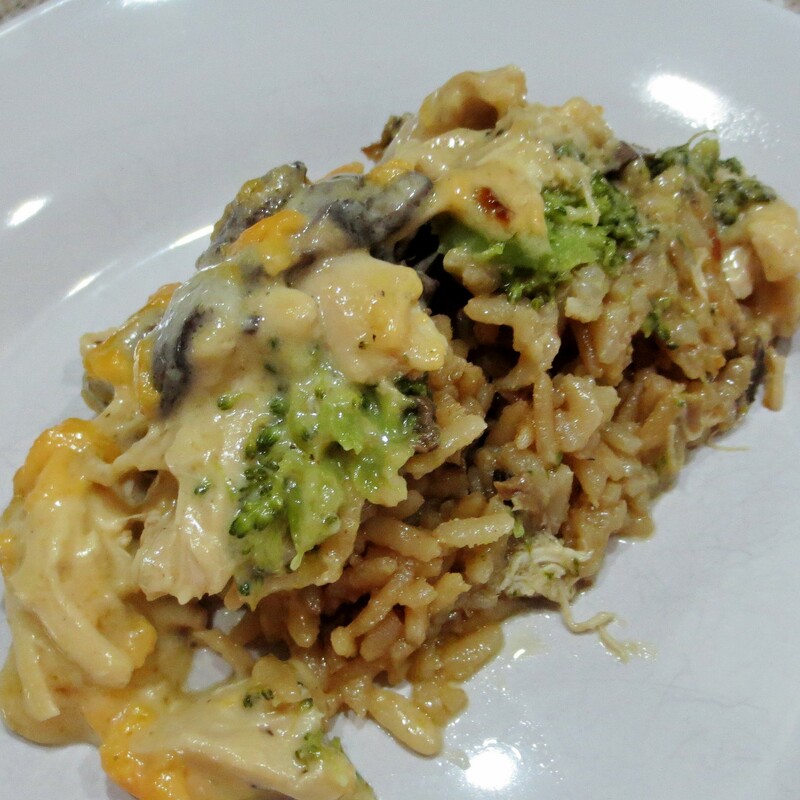 ), you’ll remember that I was rather disappointed with my first attempt to develop a recipe for Chicken Divan over Porcini Rice. It wasn’t at all hard to identify the problems, most of which boiled down to technique. The timing of the individual recipe elements was off, leading to the fact that the casserole was just plain over-cooked. The type of cheese I originally selected clashed with the other flavors as well. I tried a re-make of the recipe this Sunday. All those problems were succefully corrected, and the final recipe is a keeper. The first photo below is my first attempt, and the second is the end result. The difference is pretty obvious, don’t you think? I tried to improve on my Light and Flaky Biscuits by adding a twist to the preparation. 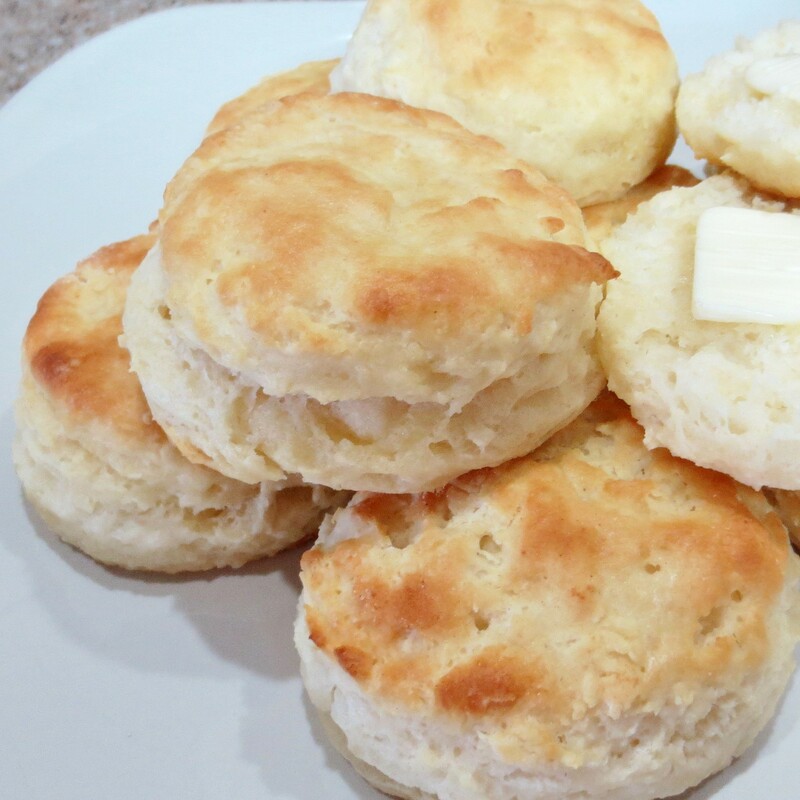 One of the things that contributes to the texture of Southern style biscuits is cold butter. The moisture content of cold butter sort of explodes in a hot oven, creating flakey layers. It is difficult to work butter into a recipe without it warming up. I tried to solve this problem with a new method. 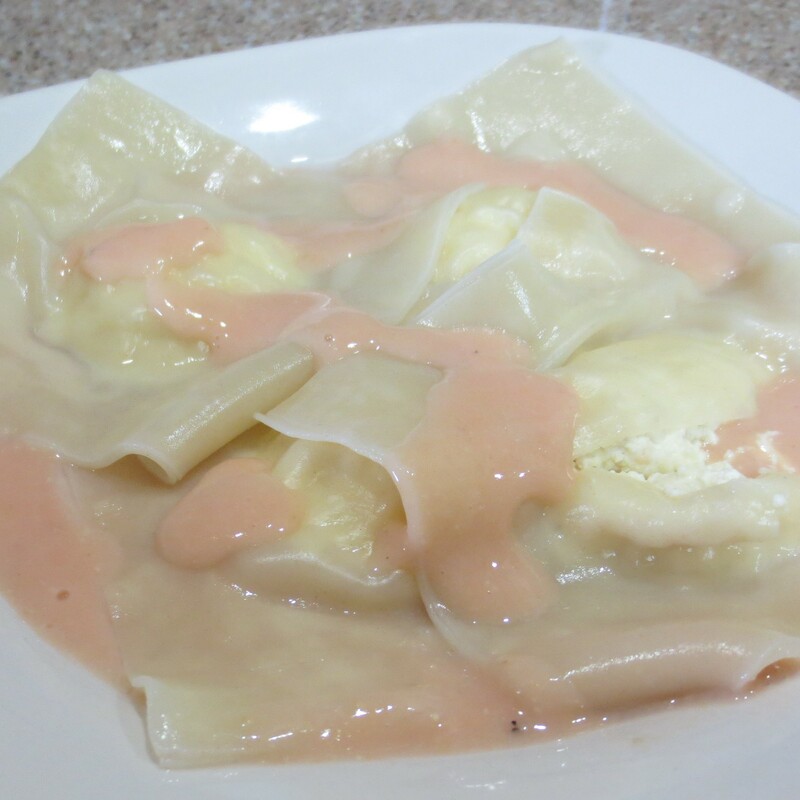 I coarsely grated the cold butter directly into the flour mixture before tossing it lightly with a fork, then added cold buttermilk to form a tender dough. Michael was very happy with his breakfast biscuits. I rarely break out the deep fat fryer, usually just once a year. This week was it. Last week’s pork loin trimmings were employed in my recipe for Mini Egg Rolls. Since I had already invested in all that canola oil to fill the fryer, I though I should put it to use. 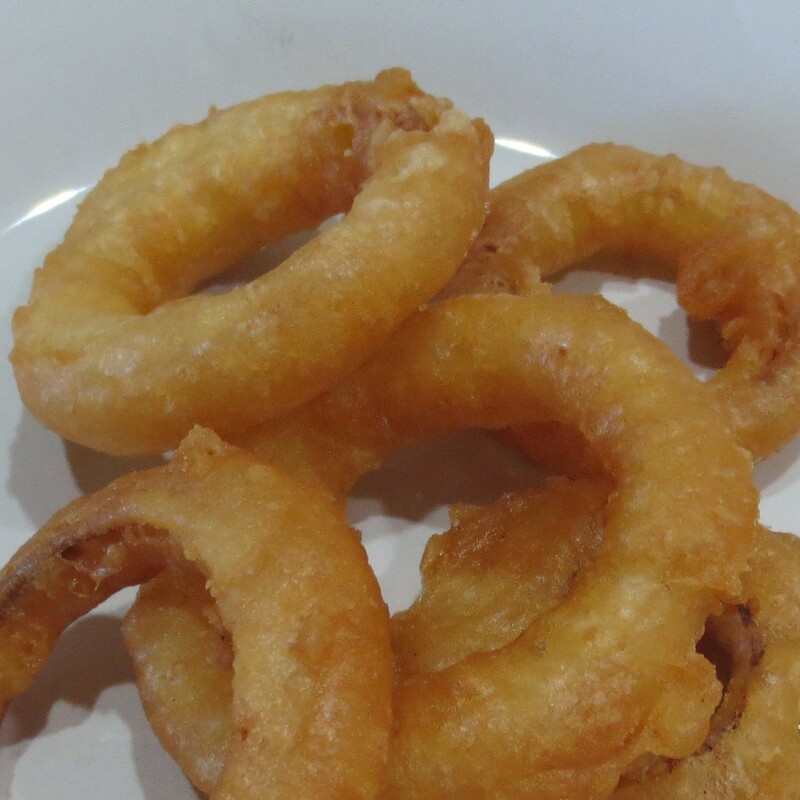 Michael kindly grilled steaks for Wednesday’s dinner, so I reciprocated with Beer Battered onion rings. 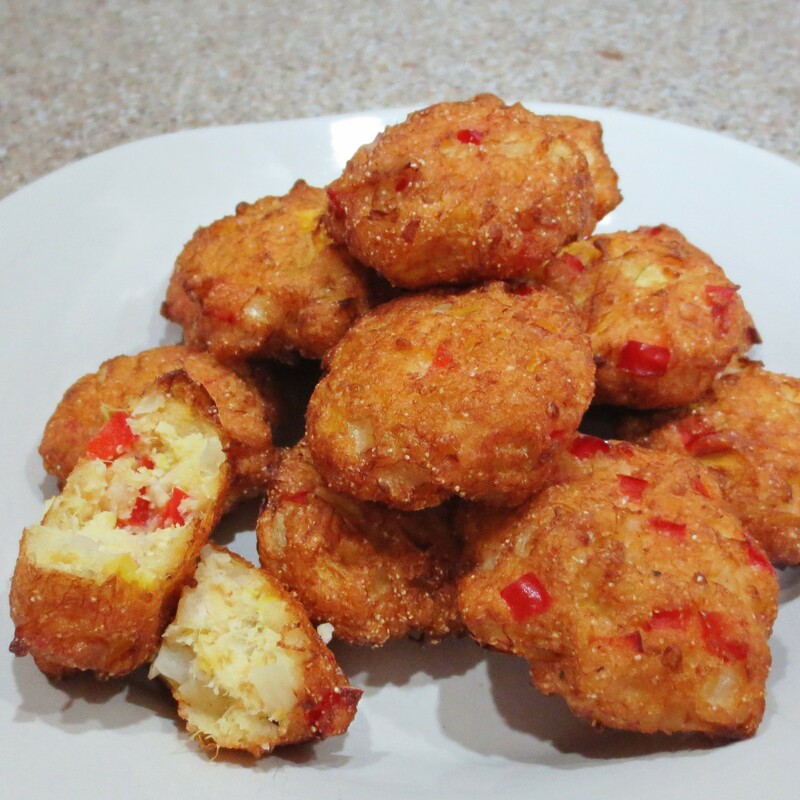 Almost any firm vegetable can be beer battered and fried. Mushrooms and zucchini are especially good. I just dust them in seasoned flour, dunk them in beer batter, and let the excess batter drip off a bit before dropping into 360 degree oil. Michael had also picked out some nice yellow summer squash at the store. OK, the fryer’s full and I’m in the mood to try one more recipe. Squash Fritters wound up on the dinner table. Pretty darned good! Before I drain the fryer I want to try another recipe. Some folks of Mexican heritage used to own a restaurant next door to my frame shop. They made fried gorditas to stuff with various fillings, kind of like a Mexican pita bread. I want to see what I can do with those, and I’ll let you know. After all that fried food I thought a calorie correction was in order. Thursday I made that effort with a pot of Kielbasa and Cabbage. This one pot dish is full of vegetables in a delicious broth. I like to mash the potatoes with a fork and spoon the broth on like a gravy. A word of caution: Don’t be tempted to exceed the recipe with your portion of Kielbasa. 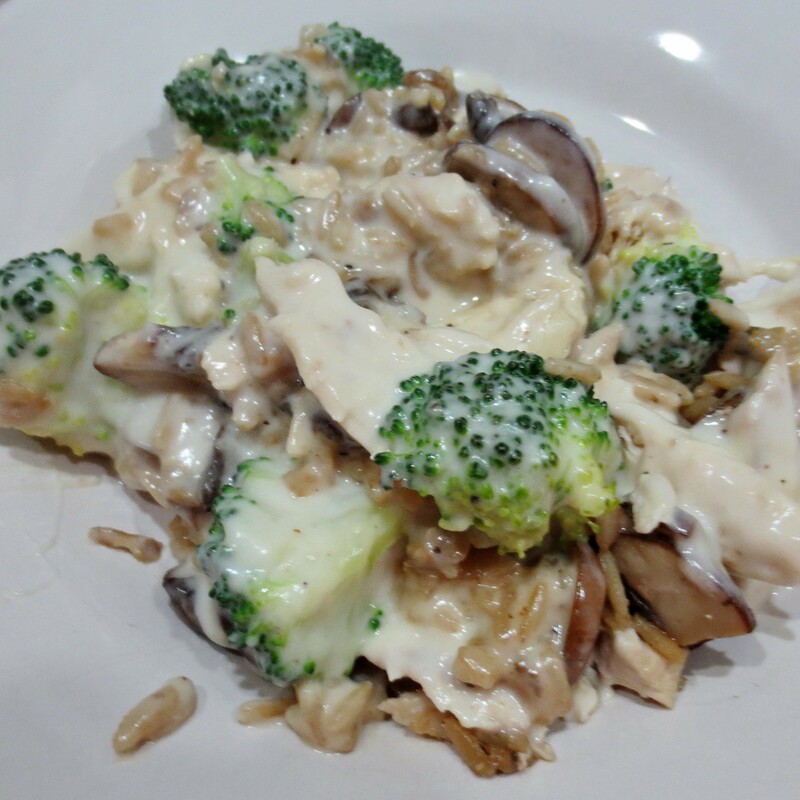 A 315 calorie dinner can easily double in both cakories and fat. 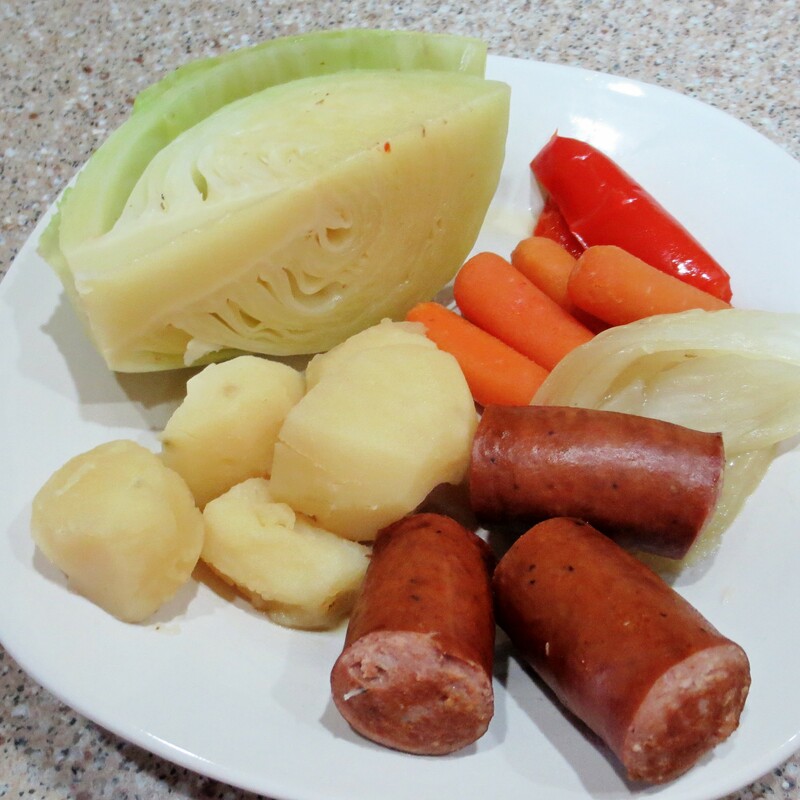 I try to limit my serving of sausage and potatoes, but fill up on the other veggies instead. 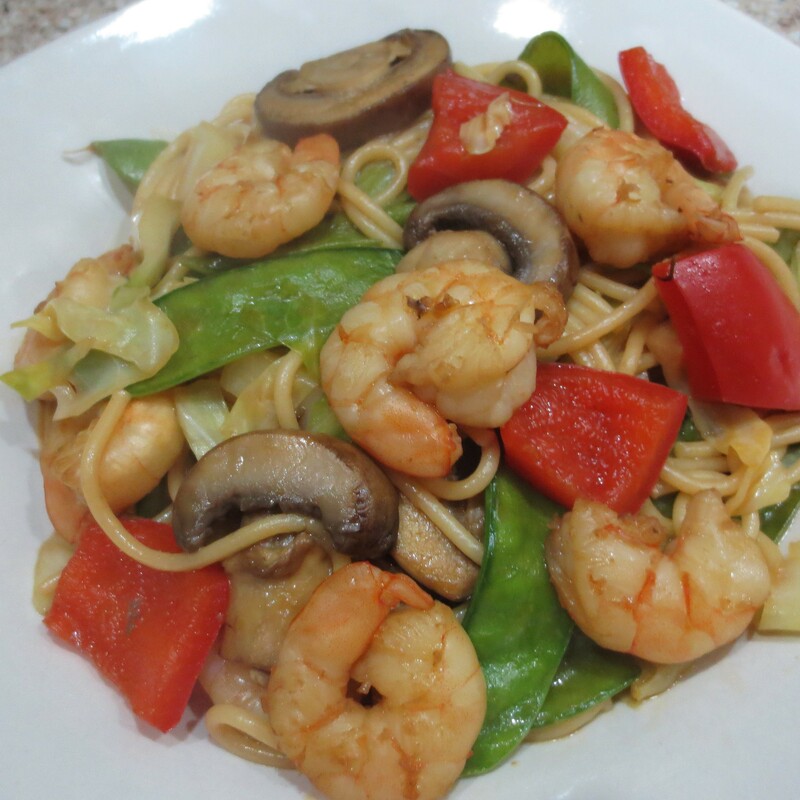 We finished out the week on Friday with Szechwan Shrimp. This dish is a bit on the spicy side, and we like it that way. The recipe calls for soba (buckwheat) noodles, which can be expensive and hard to find. I usually just substitute regular old spaghetti noodles out of my pantry. Brown rice noodles are also a good alternative and a bit more authentic. By checking my calendar, I can tell that next week is going to be a doozer and no two days will be the same. I’m going to have to do some careful menu planning with an emergency substitute meal in mind. With all that will be going on I never know what may happen. It should be interresting to say the least! This entry was posted in Uncategorized on August 29, 2015 by lizziesmom2012.